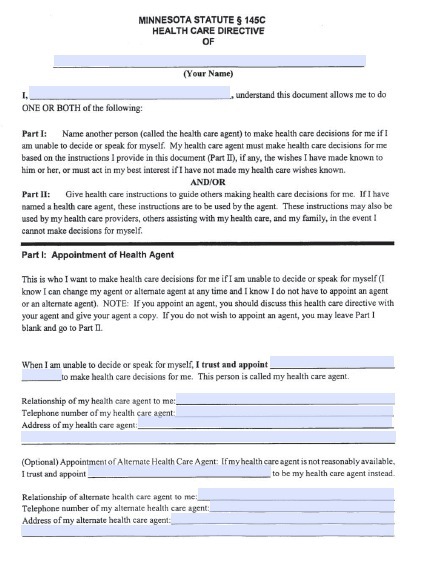 This document informs everyone of your preferred medical treatments. It allows you to plan your future health care in case you suffer from a condition that prevents you from communicating. You should complete a health care directive to ensure that you receive the specific care that you want; particularly because physicians and your family may not know what treatment you want.